Overhead Crane Solutions is proud to offer the following services to its clients. Overhead Crane Solutions can develop a customized preventative maintenance program that will ensure your cranes operate with minimal down time. Our maintenance program is developed from the manufacturer’s maintenance manuals. This ensures that the proper maintenance is carried out for the right equipment, thus reducing down time. We are able to audit and revamp existing preventative maintenance programs and train personnel so they can be better ined of what is needed to certify lifting equipment. 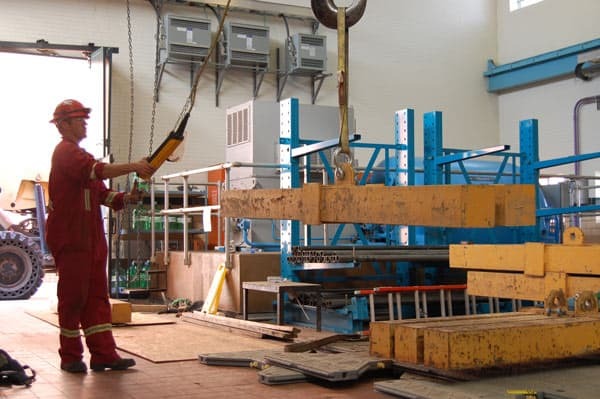 OH&S requires that all personnel who repair an overhead crane must have 8 000hrs of experience, and any personnel required to inspect a crane must have 10 000 hrs. Every technician of Overhead Crane Solutions Inc. has met this requirement. We can share our experience and knowledge with maintenance staff that might not meet this requirement. Overhead Crane Solutions Inc. has developed a working relationship with all manufacturers and their distributors. This has given us a competitive edge on part sales. Our low mark up policies gives our clients the best value for their hard earned dollars. Overhead Crane Solutions Inc. can repair all mechanical and electrical aspects of your lifting equipment. We will scope the job if needed, order all necessary parts, set up a safe work plan (if one is not setup already), acquire all necessary permits and safety equipment to safely complete the project in a timely matter. At Overhead Crane Solutions safety is our top priority. Overhead Crane Solutions Inc. is fully qualified to service, repair and re-certify your chain falls and lever blocks. Our inspection procedures are taken from the manufacturer’s recommendations. Our Edmonton location is set up to static load test chain hoists and lever blocks, so when you receive your newly certified chain fall or lever block you also get a certificate of load test. When Overhead Crane Solutions re-certifies your chain fall or lever block, you can be assured of quality. Overhead Crane Solutions Inc. has developed an extensive crane operator safety training program. Our program was developed based on the Alberta OH&S safety bulletin for overhead crane operator training. It covers legislated and other requirements in Alberta, identifying cranes and their components, pre-operational requirements, operational requirements, post-operating requirements, general rigging requirements, site-specific training requirements, supervisor training and responsibility, written and practical exam. Overhead Crane Solutions Inc. knows that replacing lifting equipment can be a costly matter. That is why we offer our modernization service. We can recondition your old and out of date equipment so that it complies with modern standards. We can use our thousands of hours of experience to help our clients choose the right system for their equipment. Management Overhead Crane Solutions Inc. knows that our clients’ time is their most precious commodity. Overhead Crane Solutions Inc. can take the headache out of your new crane installation. We have a vast knowledge of how a project should be handled to maximize our clients’ money and time, while completing the project safely. This service is a requirement for Occupational Health and Safety.